Our rigging department exceeds industry standards and can solve your next rigging need from planning and execution to completion. 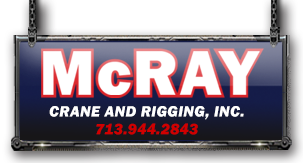 McRay Crane & Rigging's personnel are certified and have 25 years or more experience in a variety of rigging jobs. We have the ability to lift, relocate, set and align equipment of all types such as chillers, boilers, manufacturing equipment, etc. We can also load and unload heavy aircraft cargo, medical equipment such as linear accelerators, C.T. 's, MRI's and Simulators for radiation oncology. 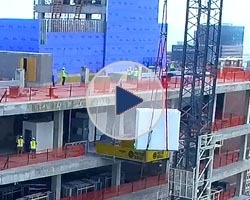 Our mobile team of rigging personnel allow us to cover most of the southern states. Air Skates, Machinery Skates, and Non-Marking Skates. A variety of rigging gear from slings to specialty lifting equipment, all stocked in our custom designed rigging trucks and trailers.